When You need to edit some configuration file or a web-page file, it is not necessary to download it, edit it and then upload it back. 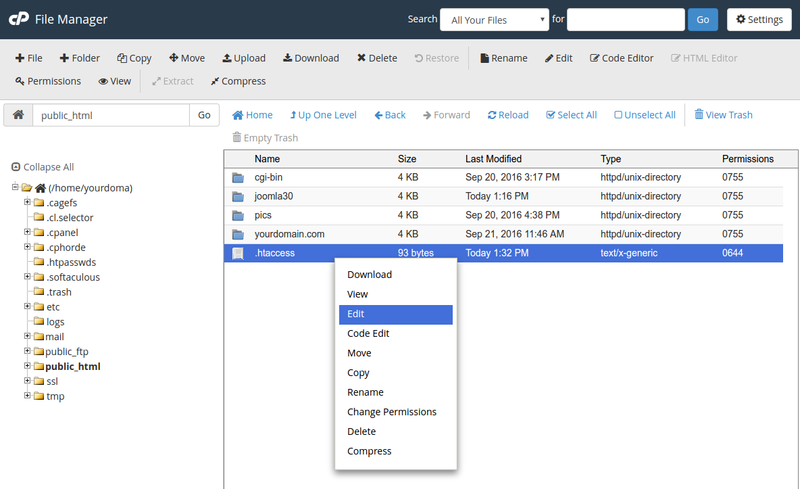 You can use the integrated Text editor or Code Editor within cPanel's File Manager. After you are logged in cPanel interface, navigate to "Files" tab, and click on "File Manager" icon. To unhide hidden, configurational files, click on "Settings" on the upper-right corner.